Big news, three of my favorite things have come together in one place. 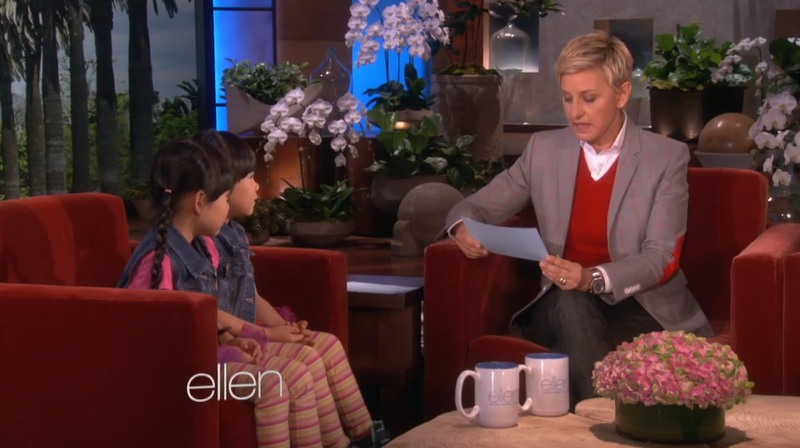 That’s right, Kpop, cute Taiwanese children, AND Ellen Degeneres happened all at once! I may be almost as excited as these girls! These Taiwanese twins made it big on YouTube with their adorable cover of Crayon Pop’s “Bar Bar Bar”. 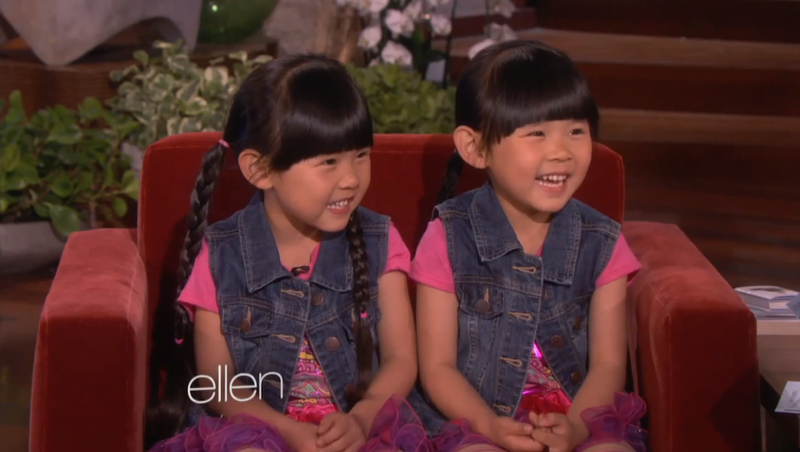 Last week they were invited to perform on The Ellen Degeneres Show and these adorable girls did a fantastic job stealing the hearts of America. Not only do they dominate with their cuteness, but these girls also do a fantastic rendition of Crayon Pop’s famous dance. If you haven’t already seen it, check out the video of their first Ellen appearance here! Zony and Yony were so popular that they came back the next week with a new dance to perform. Twitch, the guest DJ from Ellen, had a special session with the twins where they danced around, learning choreography for Justin Bieber’s “Baby”. Looks like they had tons of fun! 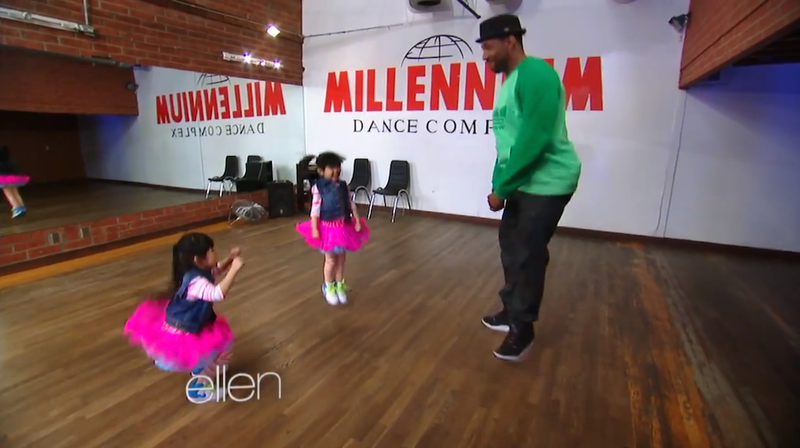 I especially love when the girls tried to teach Ellen and Twitch Chinese. Their blank stares at Ellen’s attempts at Chinese had me rolling on the floor with laughter. Taiwanese kids are super unforgiving when it comes to understanding pigeon Chinese. When I taught English in Taiwan, I was often at the receiving end of those confused looks! Duh, mi feng is bee. Everyone knows that! Their giggles and cuteness almost killed me! Here’s the video of Zony and Yony, round two! You get one guess where Ellen sent these girls during their trip to America. 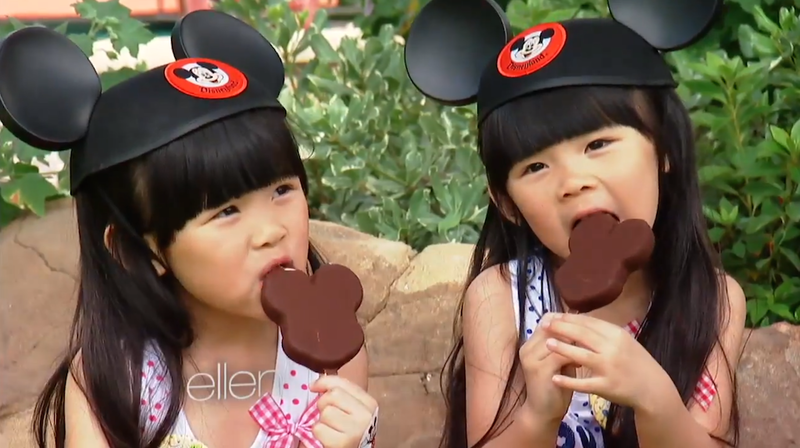 I dare you not to be happy after watching these girls play at Disneyland. It’s impossible not to smile! Not only are these girls adorable, but I am also excited to see Kpop getting more international exposure. First Psy and now Zony and Yong dancing to Crayon Pop. Ellen has shown that she’s open to including Kpop stars in her celebrity lineup and I’m excited for the day when invitations go out to more Korean artists. Who would you want to see perform on Ellen? Now that I’ve thought about it, I can’t get the image of G-Dragon lounging in Ellen’s studio out of my head! Just imagine, he’d be an amazing dance partner for her. Throw in the rest of Big Bang and I think I’ll have died and gone to heaven. Is it too much to hope their new album includes a viral hit? Then Ellen would have no choice but to invite them all! Thanks Ellen for bringing Zony and Yony to America! I’m sure these girls had the time of their lives. I can’t wait for more Kpop covers from this adorable duo! Rumor Alert: Is Kris Leaving EXO? I know! Those girls are beyond adorable! I hope they do more Kpop dance covers in the future! Such cute kids! 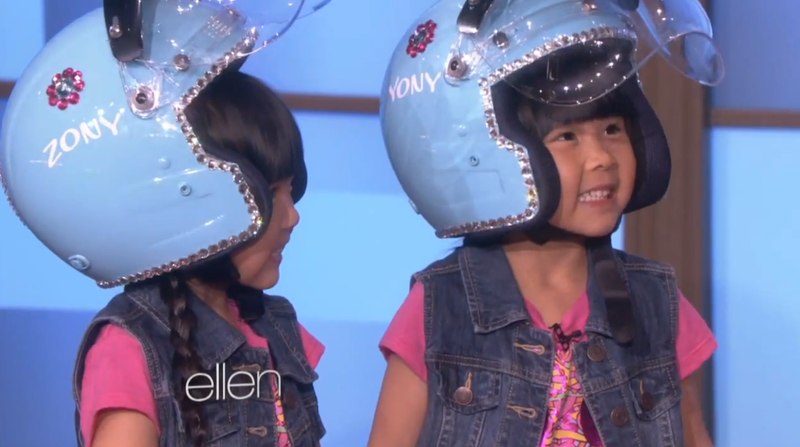 And yes, cute kids, kpop and Ellen Degeneres at the same time, wow!